The lower wings of this biplane were set in the shoulder position with a stabilising float mounted under each one, with its horizontal tail surfaces being positioned high on th tail-fin. The wings could be folded on ship, giving a stowage width of 17 ft 11 in (5.5 m). The single Bristol PegasusVI radial enginewas housed in a nacelle slung from the centre section of the upper wing and powered a four-blade propeller in a pusher configuration. One of the more unusual characteristics of the aircraft was that the control column was not a fixed fitting in the usual way, but could be unplugged from either of two sockets at floor level. It became a habit for only one column to be in use; and when control was passed from the pilot to co-pilot or vice-versa, the control column would simply be unplugged and passed over. As the Walrus was stressed to a level suitable for catapult-launching, rather surprisingly for such an ungainly-looking machine, it could be looped and bunted, whereupon any water in the bilges would make its presence felt. This usually discouraged the pilot from any future aerobatics on this type. Armament usually consisted of two Vickers K Machine guns, one in each of the "open" positions in the nose and rear fuselage; with the capability of carrying 760 lb (345 kg) of bombs or depth charges mounted beneath the lower wings. 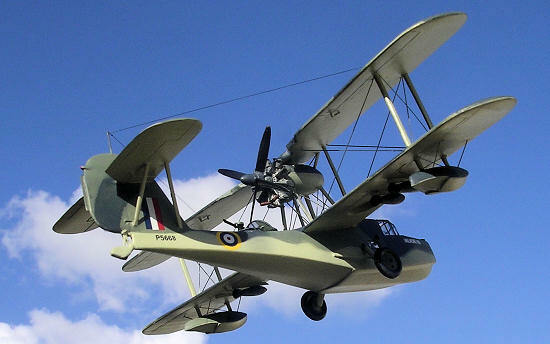 The RAAF ordered 24 examples directly off the drawing boards, under the Seagull V 'A2' designation, which were delivered for service from cruisers from 1935; followed by orders from the Royal Air Force with the first production Walrus, serial Number K5772, flying on 16 March, 1936. It was also hoped to capitalise on the aircraft's successful exports to Japan, Spain, etc. A total of 740 Walrus were built in three major variants: the metal-hulled Seagull V and Walrus I, and the wooden-hulled Walrus II. The Walrus was affectionately known as the "Shagbat" or sometimes "Steam-pigeon"; the latter name coming from the steam produced by water striking the hot Pegasus engine. Four examples survive. Walrus W2718 (G/RNLI) is part of the collection of Solent Sky, an air museum in Southampton. The museum is endeavouring to restore the aircraft to flying condition. 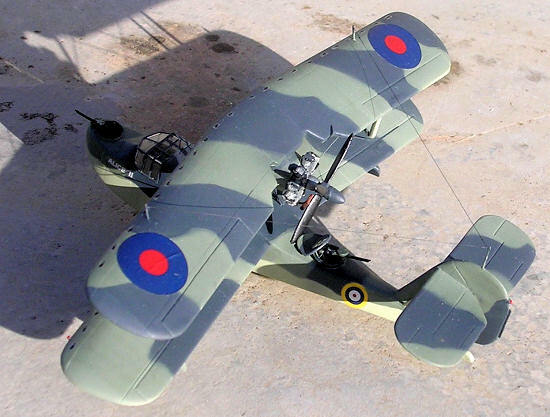 Walrus HD874 is held by the Royal Australian Air Forces museum. It was in use with the RAAF's Antarctic flight when it was badly damaged by a storm on Heard Island in 1947. It was recovered in 1980, and restored between 1993 and 2002. 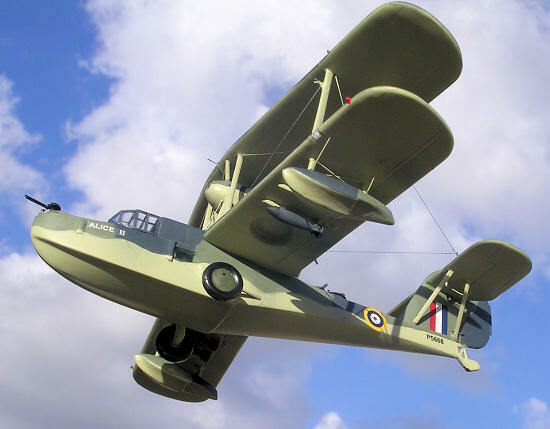 The RAF Museum has Seagull V A2-4, one of the original Australian aircraft that flew from several cruisers in the 1930s, including HMAS Sydney. Walrus L2301 is displayed at the Fleet Air Arm Museum in Yeovilton. This was one of the aircraft flown by the Irish Air Corps, before being bought back by the Fleet Air Arm after the war for use as a training aircraft. 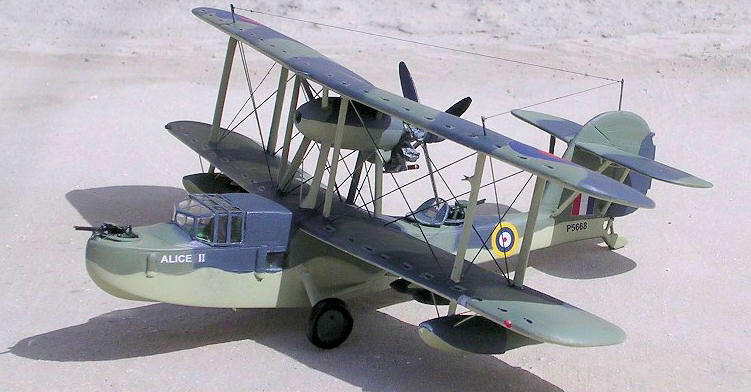 The first Seagull V, A2-1, was handed over to the Royal Australian Air Force in 1935, with the last, A2-24 delivered in 1937. The type served aboard HMA Ships Australia (MTO [Mediterranian Theatre of Operations]), Canberra (MTO, SWPA lost at Guadalcanal in 1942), Sydney (MTO, SWPA, lost off the coast of Western Australia 1942), Perth and Hobart. 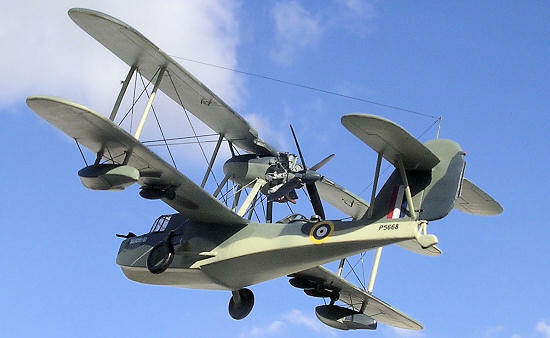 Walrus deliveries started in 1936 when the first example to be deployed was with the New Zealand division of the Royal Navy, on HMS Achilles (later a victor of the Battle of Britain). By the start of World War II. the Walrus was in widespread use, and saw service in British home waters, the Mediterranean and the Far East. Walrus are credited with sinking or damaging at least five enemy submarines, while RAF use in home waters was mainly in the air-sea rescue role. The Irish Air Corps used the Walrus as a maritime patrol aircraft during the Irish Air Corps of World War II. On June 1st 1940 a Walrus (P5666) of 700 Squadron on the cruiser HMS Manchester found the German battle cruiser Scharnhorst but HMS Manchester did not engage. Trailing German capital ships in the lead up to the Battle of Denmark Strait Walrus L2184 of 700 NAS from HMS Norfolk was damaged by shellfire from Prinz Eugen in the Denmark Strait on 23rd May 1941 while still on its catapult. The final successful attack on an enemy was by a Walrus was on 11th July 1942, when Walrus W2709 of 700 (Levant) NAS sank the italian submarine Oldina along with the surface vessels South African Protea and trawler Southern Maid, east of Cyprus. There were at least 5 confirmed enemy submarines sunk or damaged by Walruses during the Second World War, including the Vichy French submarine Poncelet which was bombed by Walrus L2268 of 700 NAS ( HMS Devonshire) and attacked by HMS Milford on 7th November 1940 off the Cameroons. The submarine was damaged and forced to surrender, and later scuttled off the Gulf of Guinea. The crew of Petty Officer PH Parsons, Sub Lt AD Corkhill and NA Evans were all awarded gallantry medals. 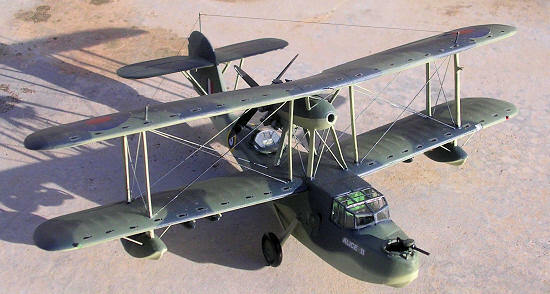 One of the superb kits issued by Valom to its 1/72 scale range is without doubt the Walrus Mk1., and the Seagull MkV. Having the occasion to examine them both, I can confirm that they are practically the same kit and came from the same mould. Each one is moulded in medium grey plastic and includes resin and etched-metal parts. The kits mainly differ in the colour scheme and markings options that they offer. The Walrus can be finished in the Temperate Sea Scheme of Extra Dark Sea Grey and Dark Slate Grey over Sky, or as overall aluminium L2253/J9G. The kit comes in a standard Valom box, featuring a beautiful painting of the kit’s Camouflaged options.. On opening the box the first impression is that this is a detailed kit, its parts being contained in large sealed bags with two sprues of grey plastic containing 77 injection moulded pieces and eight pieces of clear plastic. There are also two combined sealed bags containing cream coloured resin detail parts. These include the main wheels, a detailed radial engine, four bombs, crew seats, two control columns, machine guns etc, for a total of 15 pieces. Some of the parts exhibit fine flash. The 20 page instruction booklet includes a history of the type in both Czech and English and 18 stages of construction. This begins with the assembly of the engine, propeller and nacelle, and of the fuselage interior, including a detailed cockpit and adjacent wireless operator’s compartment. The injection moulded parts have engraved panel line detail and the fabric wing covering is well represented, reflecting the variety of tensions in the canvas covering of the flying surfaces. So care is taken to preserve the surface details by masking areas close to joints if there s sanding and fairing over. The wing and fuselage parts contain runner and ejector pin marks that protrude on their inner surfaces. Based on previous experience with short run kits, I would strongly recommend removing these excess plastic areas carefully and completely, since some of them may hamper the fitting of interior details, or prevent the main wing parts fitting tightly together. There are two injection moulded canopies, clear and similar in shape, except for one difference. One is a single piece, the other has separate skylight allowing cockpit detail to be seen more effectively. The interior detail, some of which come in resin, includes seats, a chart table, cockpit instruments,, a floor, and bulkheads, control wheels and other less visible details like spare ammunition magazines, a winch drum, rudder pedals, etc. The interior is fitted to the port half of the fuselage once painted. There are two clear side windows that I preferred to replace with Kristal Kleer since I guessed that the wireless operator’s cabin would be invisible if the clear pieces were fixed in place. The cockpit is well catered for, its three seats being complete with etched seat belts. Etched instruments fit into the port half of the fuselage. The co-pilot’s seat is folded, as also is the co-pilot’s control wheel, which is fixed flush with starboard fuselage wall. Other detail fits into the rear fuselage space. It includes a set of oars mounted against the fuselage wall and visible through the aft gun opening. Various ammunition drums are fitted close to the open gun positions. Unlike the front gunner, the rear gunner has the provision of a seat. A detailed gun ring is delicately represented in brass etch for each of the front and rear gun positions and looks excellent, particularly when the gun and mounting are fixed in their respective places. External details include the engine; exhaust pipes; nacelle, made of several pieces; floats under each wing; undercarriage legs; and tail wheel/water rudder. The only drawback here is deciding the exact location of the engine pod and its struts, once the lower wing were already thoroughly dry in their place. I found that this needed several dry runs, as it is quite a complex assembly. The engine pod is also tilted to one side and reference to the colour plan view and the colour art work on the box gave me some form of clue as to correct position and angle of sideways tilt. Any experienced modeller will sort this out one way or another. 1 The tail struts, item 20(leading) and 21(rear), should be labelled as item 21(leading), since these are longer. 2 The slots where the wings and tailplanes fit need to be adjusted slightly in order to allow the parts to fit properly. 3 The two antennae locating holes on the wings are too far forward. I replaced the antennae themselves with steel pins. These should be placed right above and inline with the forward outer struts. 4 The four outer struts (two on each wing) are of the correct length, but the inner two struts, one on each side close to the wing root, need to be shortened by 2mm in order to remain upright when fitted. 5. The rigging wires close to the wing trailing edge should start at the lower strut and connect to a point in line with the vertical strut close to the wing root at the leading edge, but not to the upper engine pod strut. For some reason the two struts close to the wing root at the leading edge are not shown on the drawing at stage 23. 6 I had to add two rails to the rear turret cover, which slides forward. 7 I added two lights to the lower wing tips. 8 the ‘foot steps’ decals were placed near the leading edge of the camouflaged Walrus (Scale Aircraft Modelling volume 8, No7 shows them on camouflaged aircraft as well as aluminium machines). These markings may, however not always have been added to camouflaged machines. 9 I added two wave deflectors forward of the side windows. Some early aircraft were without these. All in all this was an intriguing but interesting kit, but it is not one to rush and a fine model should result. Having completed the Walrus Mk1, then how about tackling the Seagull Mk V in overall light grey finish as used on the Australian Navy ships? Alternately one can complete it in overall yellow as used by the Australian team in Antarctica which was the subject of rebuilt in recent years at the Point Cook museum in Melbourne.